The 24 hour monitoring system is comprised of (a) two central control stations (installed in the two university labs managing the HERMES Program) (Diagram 1) and (b) the remote monitoring stations. The latter include a broadband electromagnetic sensor (Diagram 2) covering a wide frequency band (100KHz - 3GHz). Moreover, some stations can also measure both frequency bands that mobile telephony antennas operate at (GSM-900 and GSM1800 & UMTS). Each station measures, stores and transmits information to a central control station which is comprised of a PC which records the information which will eventually be presented to the public on this website. Measurements are transmitted across the GSM mobile telephony network. Results are then posted on the internet. Narrow-band measurements estimate the level of non-ionizing radiation (power flux density) for each frequency or frequency band individually. Special monitoring devices such as spectrum analyzers are required to carry out these measurements. The choice of a measurement point in an area (location and number of points) is based on general criteria. 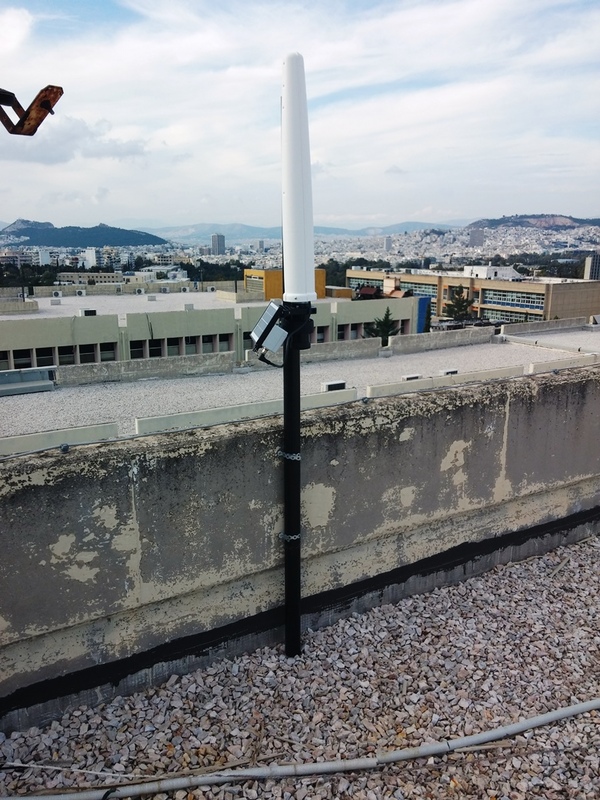 Measurement points are chosen to correspond to the highest levels of electromagnetic radiation, which an individual can be exposed to, taking into account the location of nearby antennas. Twice a year narrow-band measurements are carried out as part of the HERMES Program at the location of 24 hour monitoring stations. These measurements seek to confirm that the 24 hour monitoring stations are operating properly and to regularly monitor the contribution of various sources of electromagnetic radiation to the overall measured values.